This documentary explores the lives of the victims of the Angolan, thirty-year war that began in 1975. Anne-Laure Folly remains off camera the majority of the film to give the spotlight to the victims. The camera zooms in on the women’s faces during the interview for an emotional connection with the viewers. The focus is the emotion in the women’s eyes. The film shows the heavy costs of the war, and the women tell their own stories about surviving it and its lasting implications. Anne-Laure Folly’s purpose is to understand the victims rather than understand the war. Therefore, the documentary becomes her journey through Angola and the various women she encounters. The women speak of their own perspective on the conflict, and describe their efforts to survive in combat zones, as well as in the presence of landmines. The film shows heart wrenching images like a malnourished baby in the arms of a woman devastated by the war. Optimism however, is the ending point of the documentary. Women are shown joining a theatre group, which they organize to lift their spirits in spite of the hardships during and after the brutal war. Kumbuja, Top 5 Angolan Films. Angola Today, 2015. Thackway, Melissa. 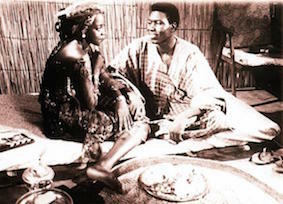 “African Women & Film.” Africa Shoots Back: Alternative Perspectives in Sub Saharan Francophone African Film (2003): 157-160. Print.